Late last month, NASA’s Kennedy Space Center (KSC) Office of Small Business Programs (OSBP) announced at the annual Business Opportunities Expo a Mentor-Protégé Program (MPP) agreement between two national space mission engineering and technology companies, a.i. solutions, Inc. and Red Canyon Software, Inc. With a.i. solutions as the mentor and Red Canyon as the protégé, both companies will work together to increase Red Canyon’s capabilities to provide technical solutions for NASA. There were more than 2,000 attendees present for the announcement at NASA’s Business Opportunities Expo, including key leadership from NASA, NASA’s Kennedy Space Center, Canaveral Port Authority, the U.S. Air Force 45th Space Wing and the United States House of Representatives. a.i. 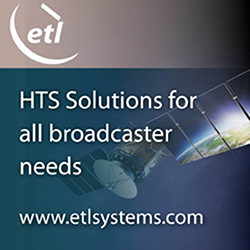 solutions has been offering engineering services and space software products for the United States’ defense and civilian space agencies for more than 20 years. a.i. solutions is currently the prime contractor for the NASA Launch Services Program, Red Canyon is a teammate subcontractor. By acting as a formal mentor for Red Canyon, a.i. solutions will assist them with achieving their business goals, such as obtaining critical certifications, streamlining operations and enhancing their business development processes. The Mentor-Protégé agreement will last two years but could be extended. The MPP helps to advance the aerospace industry and will also create more jobs in the space industry and government sectors as small businesses grow from the program, thus increasing economic goals within local communities. Steve Owens, ELVIS 3 Deputy Program Manager for a.i. solutions, said that one of the firm's biggest goals is to help small businesses in this industry, such as Red Canyon, acquire better technical capabilities to deliver services in their area of the aerospace industry that will last for the future. Barry Hamilton, CEO and founder of Red Canyon, added that a.i. solutions is going to help to increase the company's capabilities, and by doing that, Red Canyon will have more knowledge and can provide better technical solutions for NASA and the nation. This agreement ensures that the whole space technology ecosystem benefits from this mentor-protégé program.